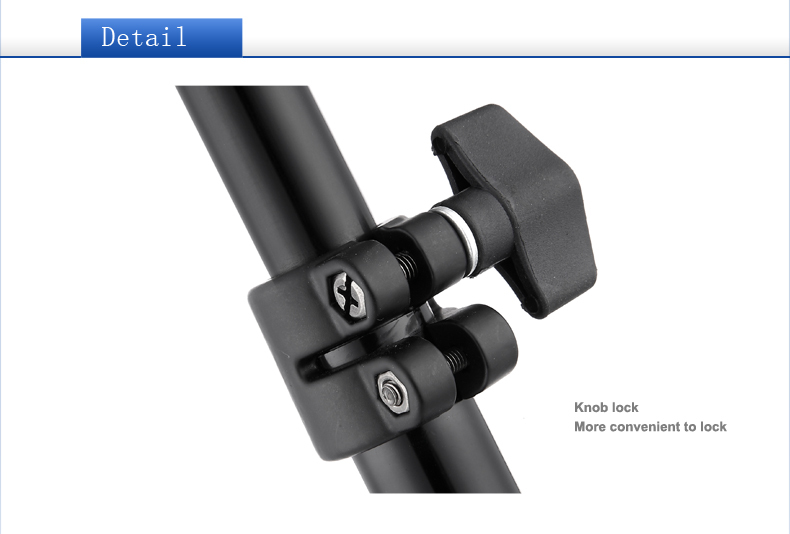 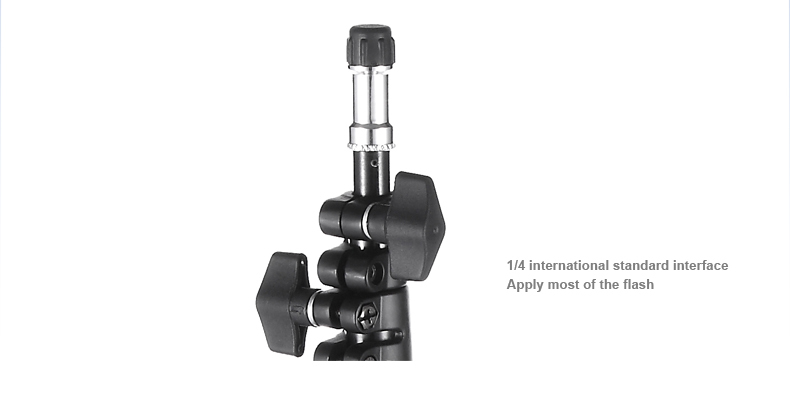 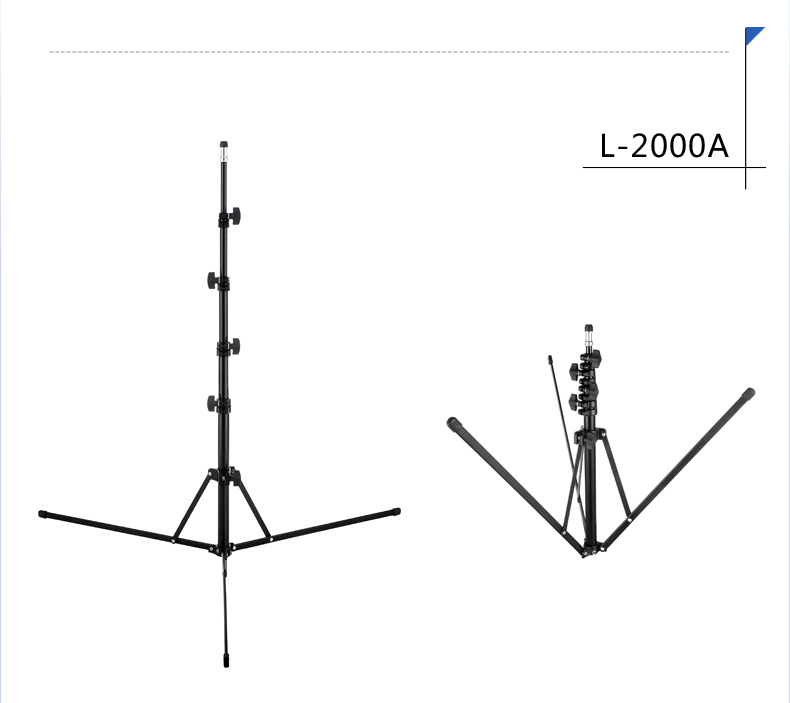 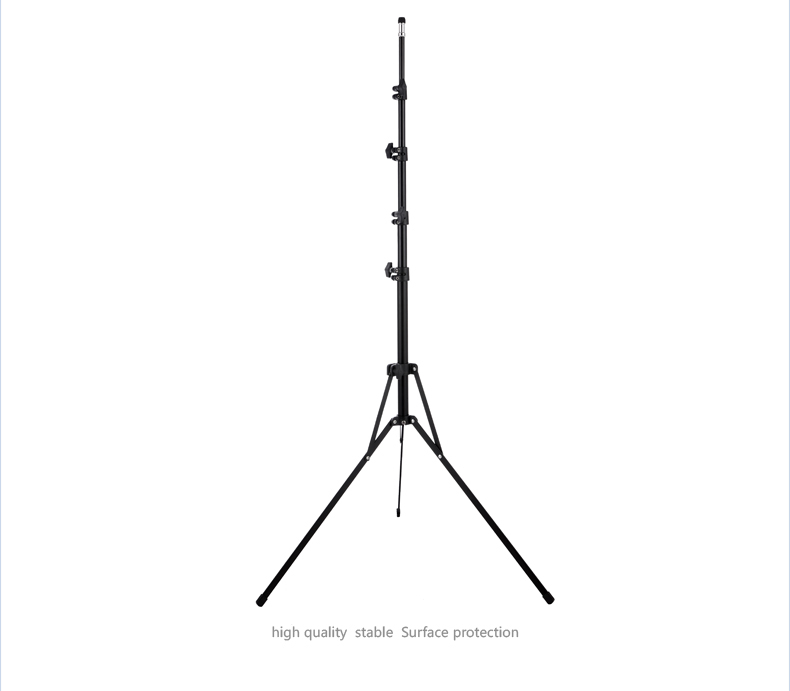 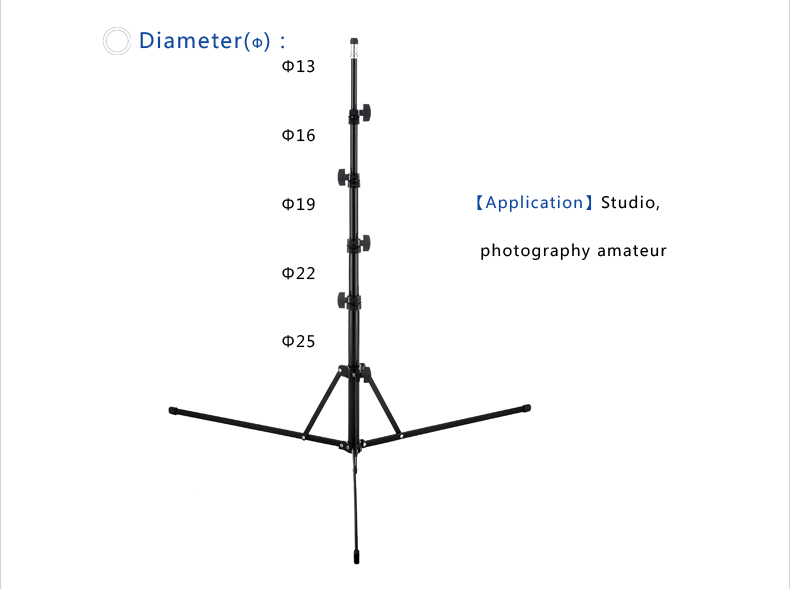 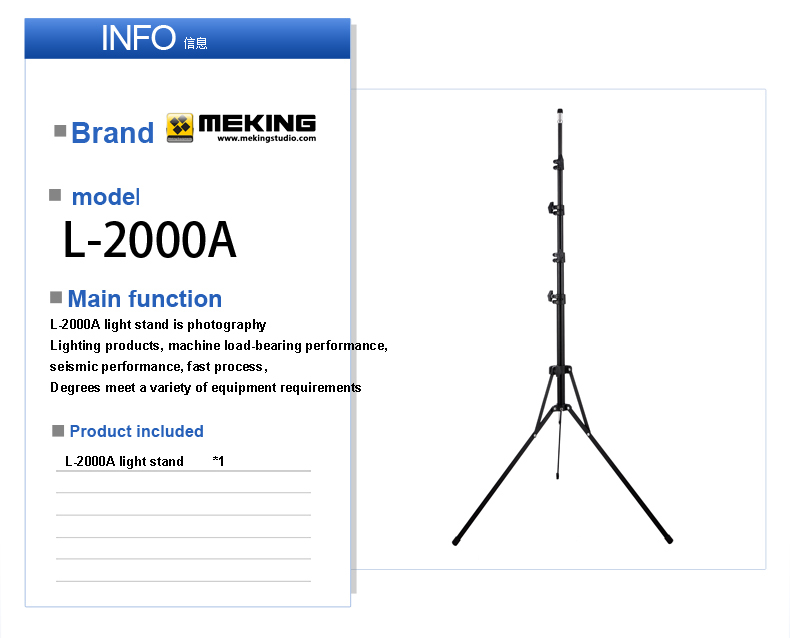 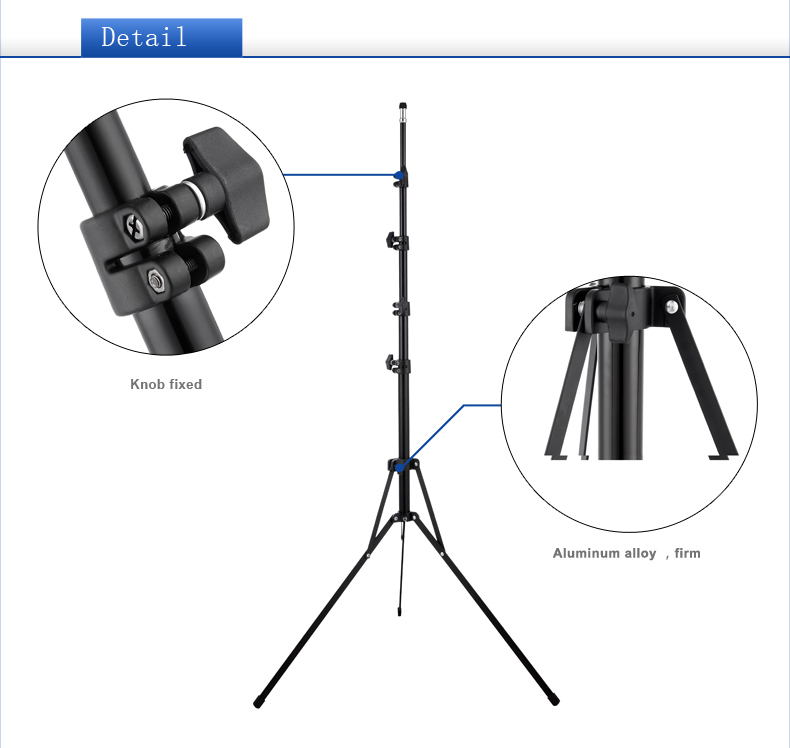 This High-quality light stand with aluminum alloy construction is perfect for studio lights, flash, umbrellas, reflector and background support. 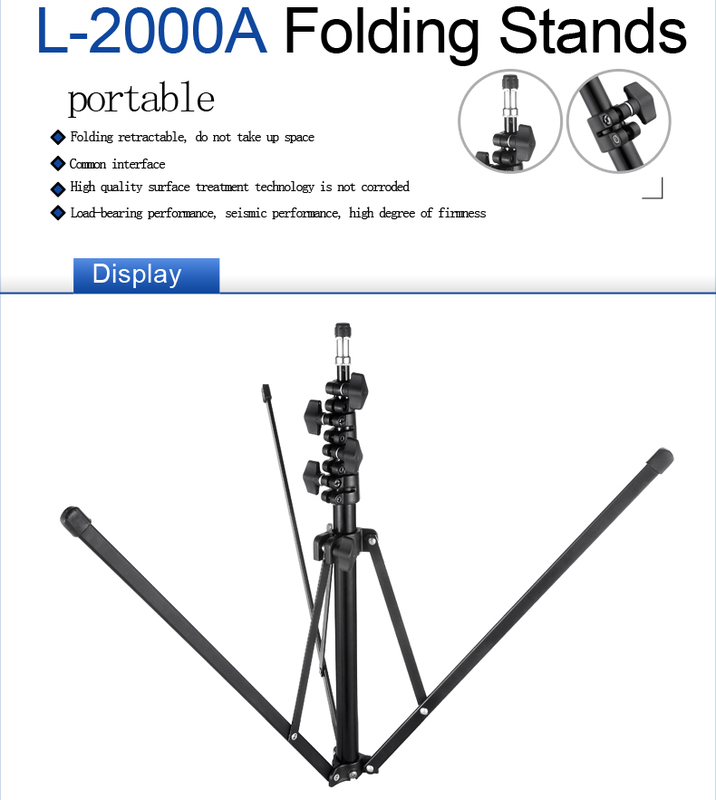 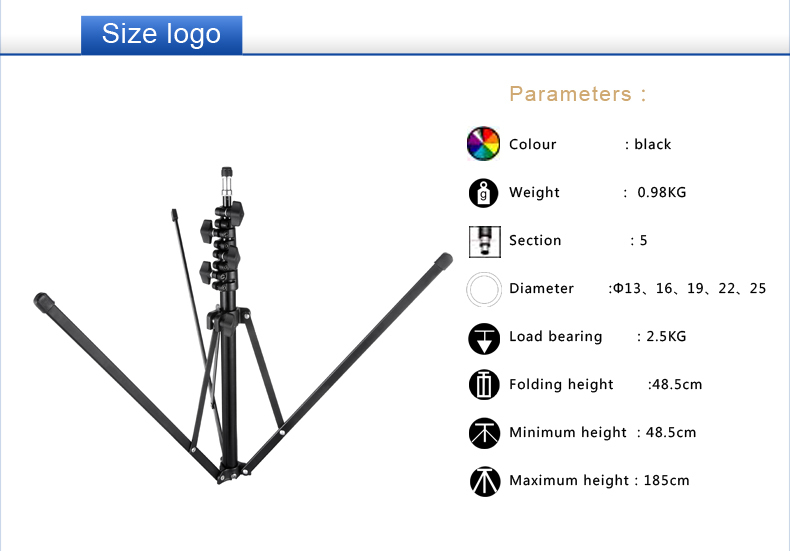 It offer sturdy support in the studio and easy transportation to locations shoots. 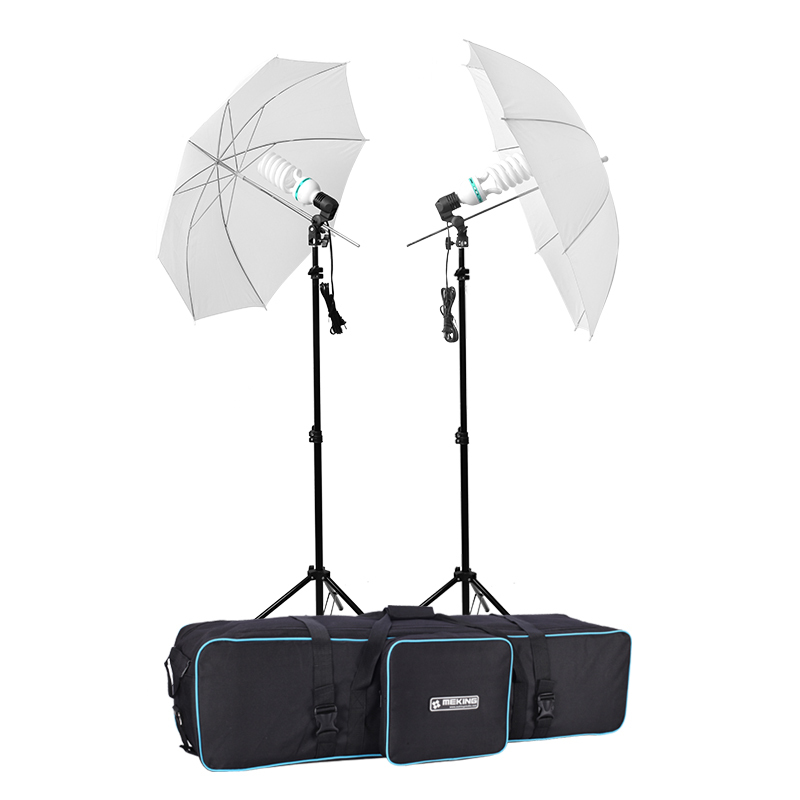 With Collapsible storage system, you could place and storage it easily for your out door photo shooting. 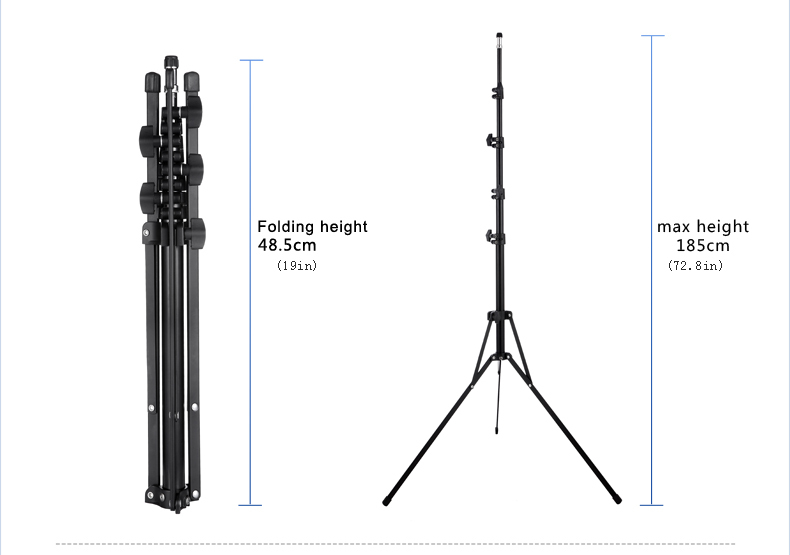 *Collapsible System, easily to carry and storage for out door shooting. 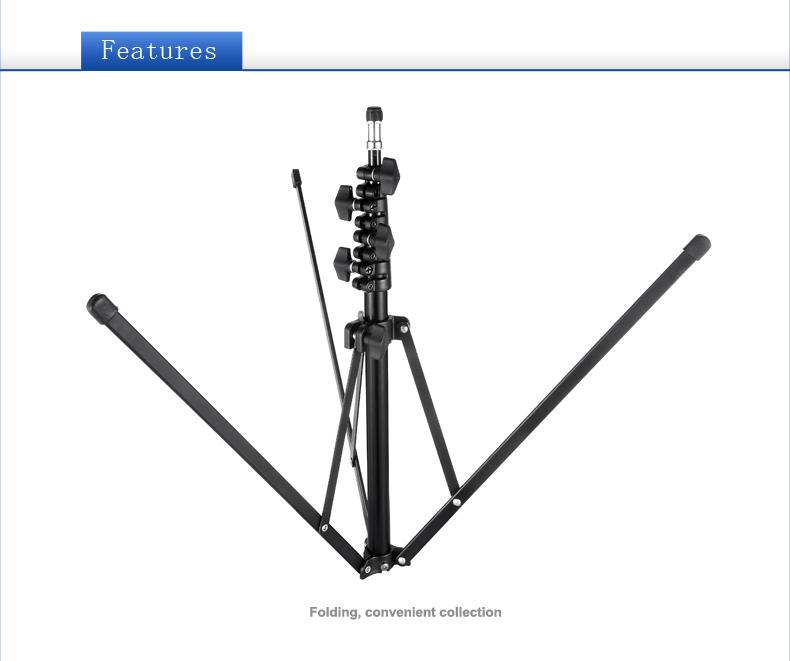 *Versatile and compact for easy set up.